If you live in America, are you ready to celebrate Independence Day? If you need some ideas, I'm sharing some good ones. The CSI Project has a tutorial for making these cute candy-stuffed rockets. These Patriotic Brownie Cups look so delicious, not to mention that they are pretty. 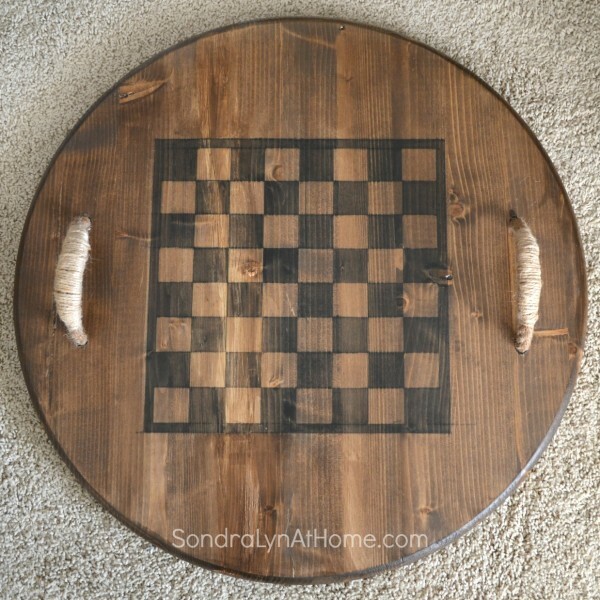 This tray would be a great idea any time, but I'd love to make one to have outside in case somebody wanted to get out of the pool to relax with a game of checkers. Another fun feature of this tray is that it reserves to solid wood, and the handles pull through to the other side. 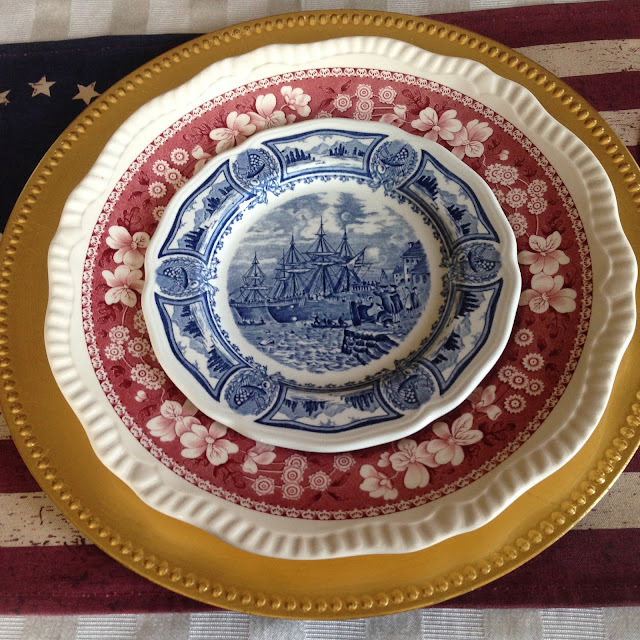 I love this red, white, and blue historical "Spirit of '76" tablescape. my Independence Day mantel here. I hope everyone has a safe and happy Independence Day celebration.